At Aspermont we continuously monitor subscriber requirements across our product range. We respect the brand value of our titles and when our analytics identify changes in demand, we have a demonstrated ability to respond and both curate and transform content to ensure we provide the industry leading print titles needed for the new digital age. Mining Magazine is a good case study of how we are able to adapt where erstwhile competitors have failed the test. Founded in 1909 by Herbert Hoover, Mining Magazine is the single definitive guide to all operational aspects of mining. The publication is universally well regarded by mine management for in depth technical articles on mining techniques and technologies, as well as on issues affecting their workforce, logistics and supply chains. For 106 years, Mining Magazine was a globally recognised print product in a world where customer requirements were undergoing change. 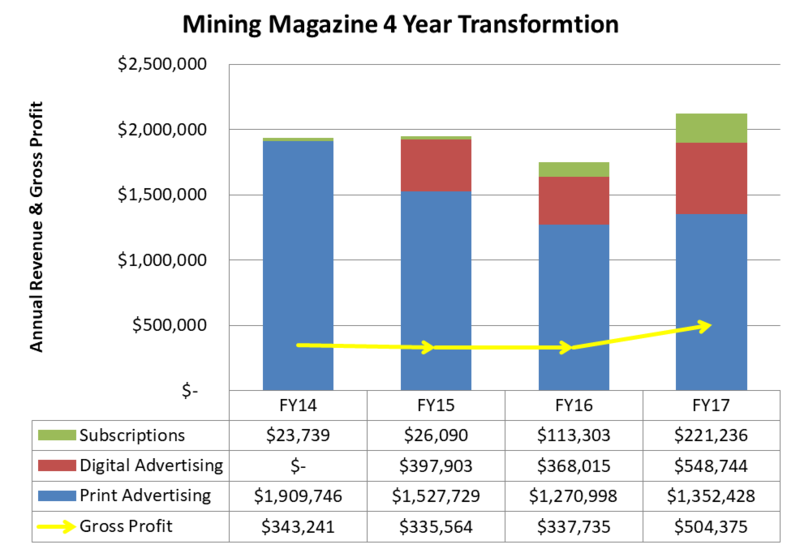 Over a 4 year program, we applied our full range of technology capabilities and digital expertise to transform Mining Magazine into a profitable, sustainable and growing online publication.